This commercial picnic table features a 46" Rolled Style octagonal top and four attached seats to sit 8 adults total. 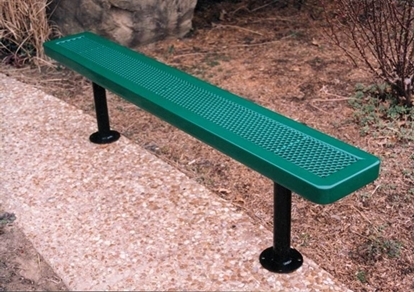 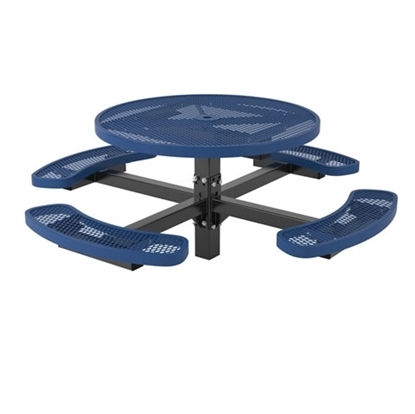 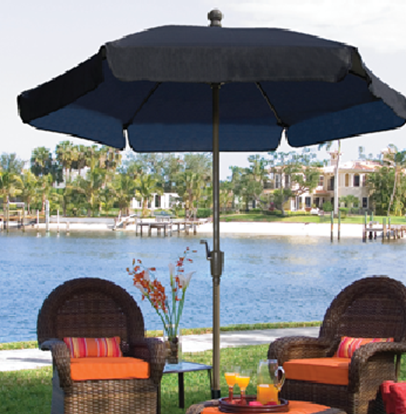 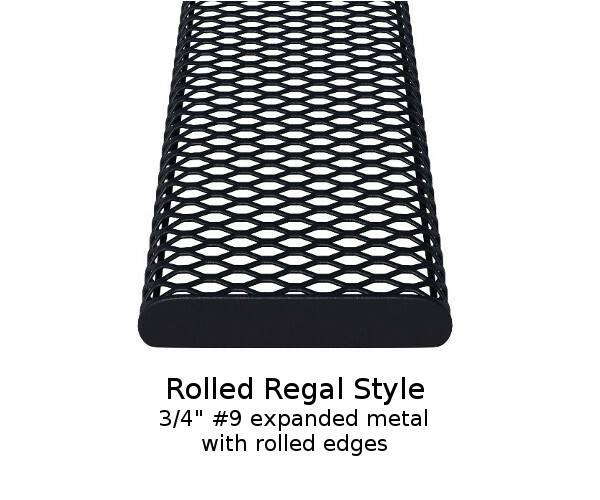 Made of commercial grade thermoplastic coated 3/4" expanded metal with a 4" heavy duty pedestal frame for inground mounting. 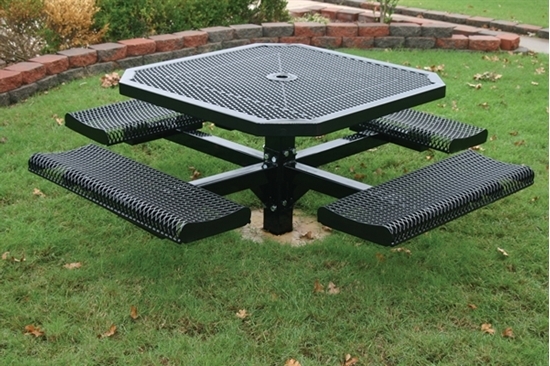 Our thermoplastic picnic tables provide years of reliable service to schools, parks, and restaurants.